Greetings from Garden City, New York! It was a pleasure connecting with so many of you in Las Vegas. I picked up a lot of great ideas and learned some new things! I have found these annual conclaves of ours revitalizing—reminding me of the key role we play in preparing our students for the world of work. In this newsletter, I share a few stories that may interest you. Not just in the classroom, but in boardrooms and communities as well, the expertise of our faculty and staff is making a positive and profound impact. 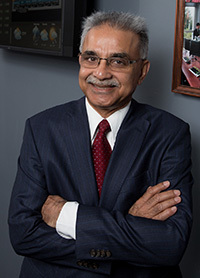 To share a few examples: Winston Waters, J.D., M.B.A. '15 , associate professor of business law, is a court examiner and special referee for the Appellate Division, Supreme Court of the State of New York; Rakesh Gupta , associate professor of decision sciences, is a member of the Wantagh High School Advisory Board; Mariano Torras, Ph.D. , department chair and professor of economics, is a trustee, chief administrator and treasurer of the Brooklyn Free School; and Anthony Libertella, J.D., Ph.D., professor of management, is a past president of the Garden City Chamber of Commerce. From leadership on editorial boards of journals to organizing conferences to reviewing manuscripts to speaking at plenary sessions, our faculty members are actively engaged with their disciplinary organizations. Just a few examples: C. Richard Baker, Ph.D. , professor of accounting, is on the editorial board of The CPA Journal ; Zhimin Huang, Ph.D. , department chair and professor of decision sciences, is editor-in-chief of the Journal of Modelling in Management ; James Hazy, Ed.D. , professor of management, served as special issue editor of Emergence: Complexity & Organization ; and Samuel Natale, D.Phil. , professor of management, was co-director of the Business and Education Roundtable Conference at the University of Cambridge. Our internship program continues to be a hit with students and employers alike. We have enhanced this program by matching the interns with business professionals, many of them alumni, to provide enriching and supporting mentoring so that the students can get even more out of the internship experience. 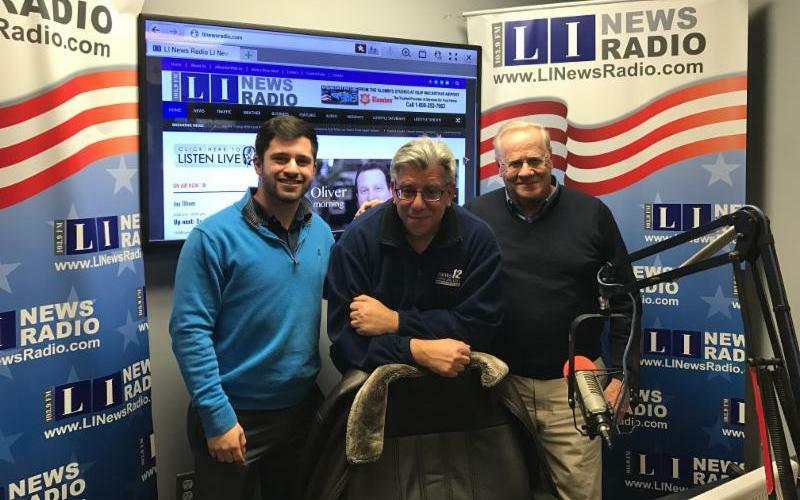 I invite you to listen to this radio interview with host Scott Passeser (center) in which our director of internships, Neil Halloran (right) and M.B.A. student Joseph Lucito '17 (left) describe our distinctive internship program. This e-newsletter is prepared by the Office of the Dean of the Robert B. Willumstad School of Business at Adelphi University. Visit business.adelphi.edu for more information.